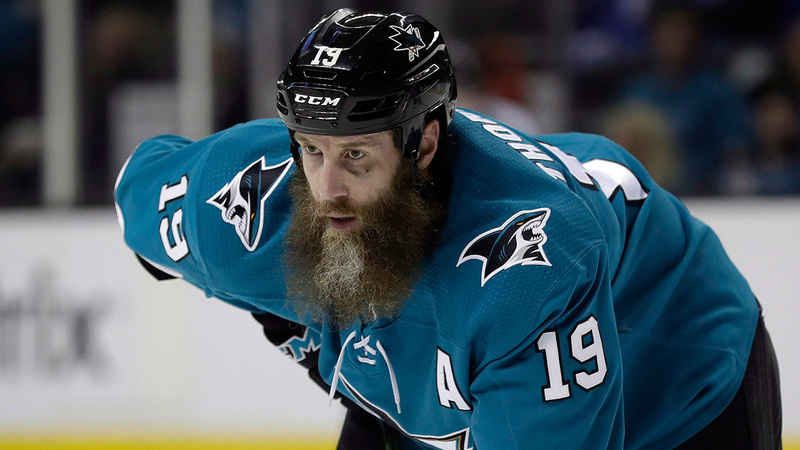 Joe Thornton has been suspended one game for his hit on Vegas Golden Knights‘ Tomas Nosek, the NHL Department of Player Safety announced. The incident occurred towards the end of the second period in Game 3. With Vegas already in possession of a dominant 4-1 lead, Nosek skated towards the corner and Thornton emerged from behind Vegas’ net, catching the Golden Knights winger with a shoulder to the head. At the time, Thornton was given a two-minute minor for an illegal check to the head. Vegas went on to win the game 6-3, extending their series lead to 2-1. The clubs meet for Game 4 on Tuesday, with puck drop set for 10:30 p.m. ET.